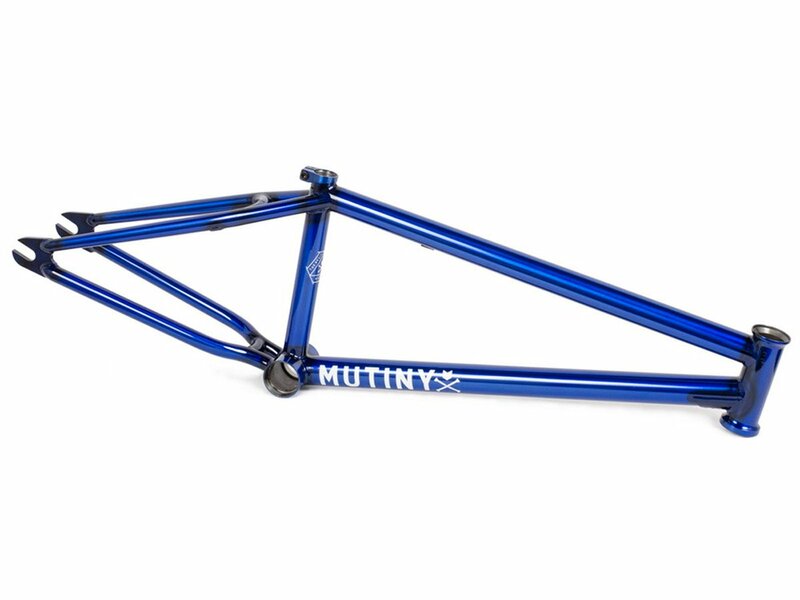 The Mutiny Bikes "PMR" BMX Frame is made from high quality 4130 Sanko CrMo and got heat treaded with Mutinys "420 BAKED" process for more stability. 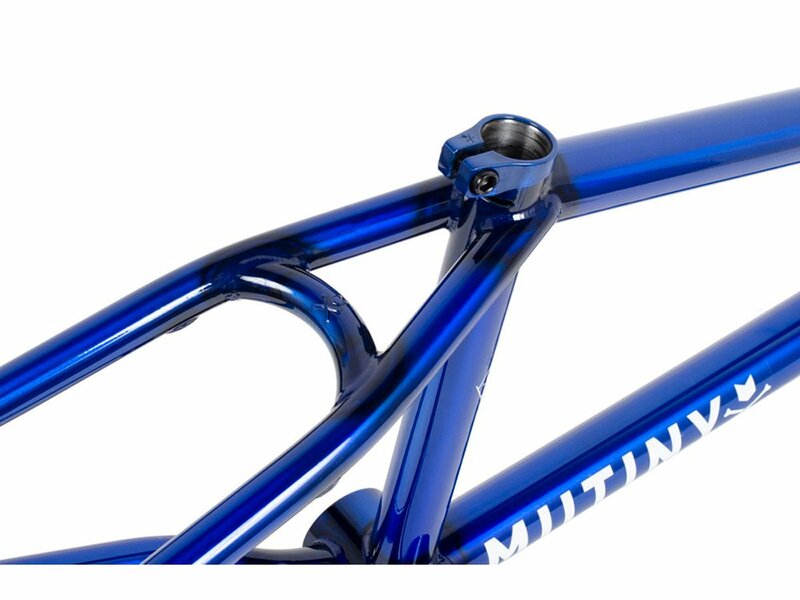 The Mutiny Bikes "PMR" BMX Frame includes a 4130 CrMo seat clamp with 6mm bolt and horizontal clamp slot on seat tube to give better clamping power with less torque. 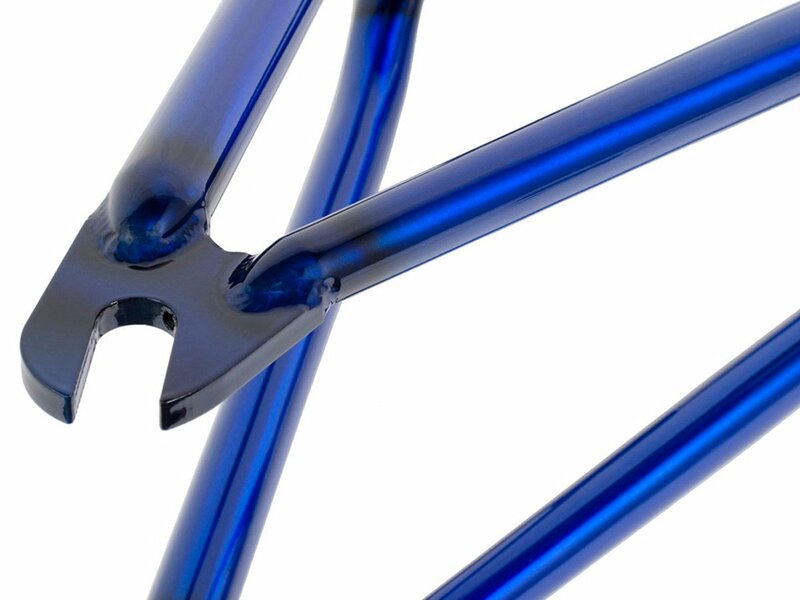 The rear end includes holders for screwable U-Brake sockets. 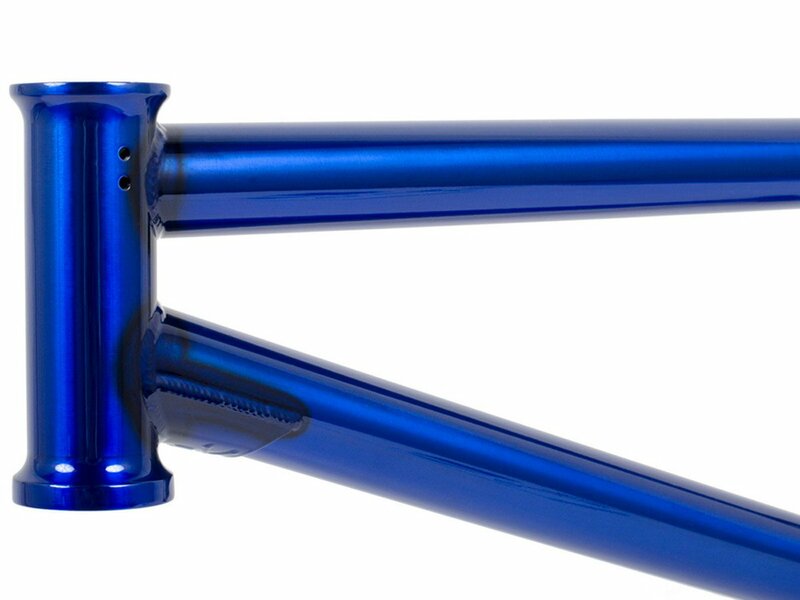 The U-Brake sockets are not included but are separately available in our shop. 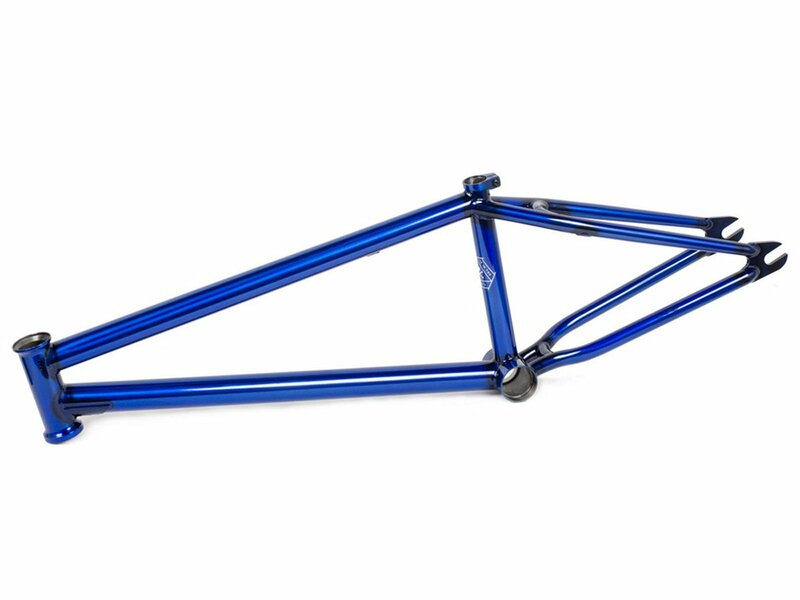 Chain Stay (CS): 13.25" - 13.75"